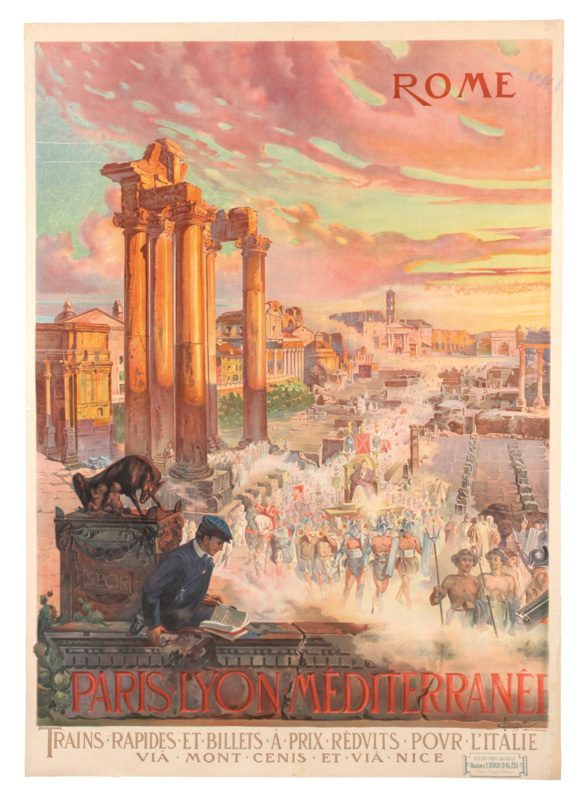 Description: Vintage French railway advertising poster for Rome? 76 x 105 cm. Lithograph in colour on paper. "l'atelier F. Hugo d'Alesi, Paris".